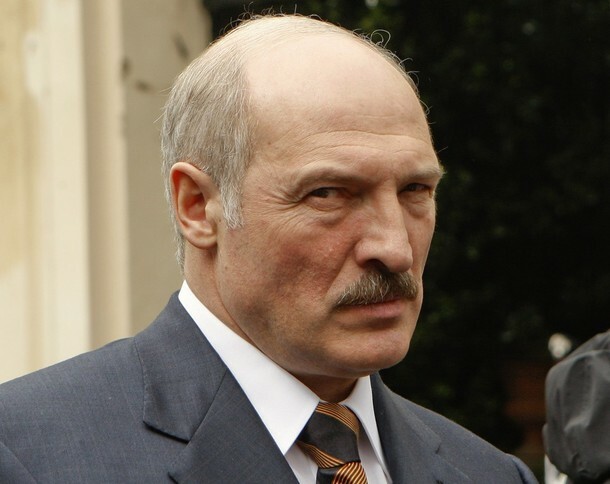 KIEV, Ukraine -- Belarussian President Alexander Lukashenko, a pariah in many European countries, will attend the final of the Euro 2012 soccer championship in Ukraine, a Belarussian diplomat said on Wednesday. The move makes Lukashenko the only foreign state leader so far set to attend the Ukrainian leg of the championship - with the exception of Polish President Bronislaw Komorowski, whose country is co-hosting the event. Lukashenko will meet Ukrainian President Viktor Yanukovich on July 1 before watching the game later in the day, Interfax news agency quoted Belarussian ambassador Valentin Velichko as saying. The European Union has introduced sanctions such as travel bans and asset freezes against Lukashenko and some of his officials, accusing his government of human rights abuses and political repression. A number of European politicians have boycotted the soccer tournament in protest against Ukraine's treatment of opposition leader Yulia Tymoshenko. Tymoshenko, a former prime minister and key opponent of Yanukovich, was sentenced to seven years in prison on abuse-of-office charges last October in a case the West said smacked of selective justice. The European Union has since shelved landmark deals on free trade and political association with Kiev over the issue, and urged Tymoshenko's release. German Chancellor Angela Merkel has likened Yanukovich to Lukashenko, saying last month that "in Ukraine and Belarus people are still suffering under dictatorship and repression". Although they face similar problems in their relations with the West, ties between Yanukovich and Lukashenko are far from friendly. Berating him as a "lousy" leader, Lukashenko tore into Yanukovich last April after being left out of ceremonies commemorating the Chernobyl nuclear disaster, as Kiev sought to secure attendance by senior EU officials. This time around, Yanukovich himself has been left isolated and has had to share his VIP boxes at local stadiums mostly with officials from the European soccer governing body UEFA and the Ukrainian government. Ukrainian courts this week adjourned hearings in Tymoshenko's appeal against last year's conviction and in a new tax evasion case against her until after the Euros, putting off decisions that could further sour EU-Ukraine ties.